At this exhibition, children will be able to learn through play and discovery everything about the human body from the inside out. The engaging, interactive activities provide children two to eight years with a variety of age appropriate learning opportunities that emphasize scientific investigation. As children touch, see, and listen they will learn valuable lifelong lessons about the human body. 1. Your Insides, where children can explore what goes on inside their body. 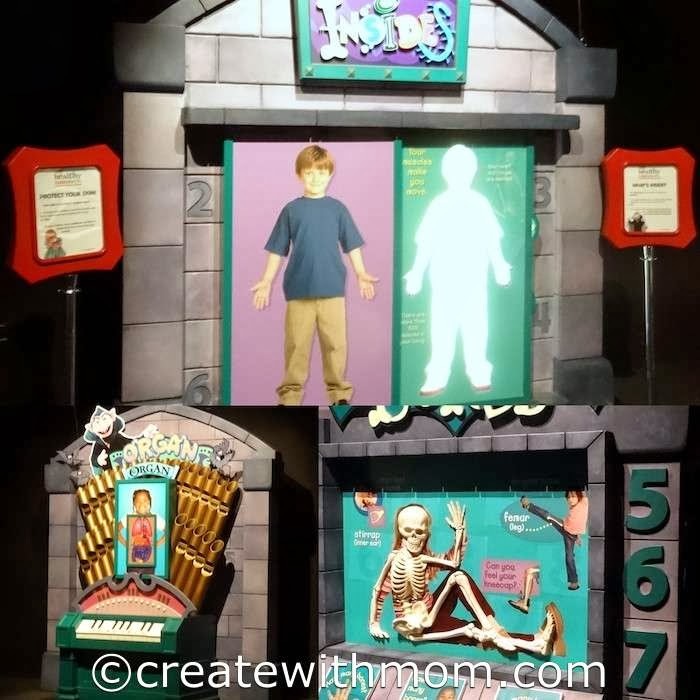 Activities such as "Count's Organ Organ" teach children musically about where their internal organs are located and how it functions. "Digestion with Oscar" shows what happens to the food we eat. This was a favourite for my son, as he is in a stage where talking about this causes him to giggle :) I really liked how it explained the digestion system in a child friendly way using building material such as the pipes. "Oscar's Sneeze Machine" was lots of fun for both my children as they stood under the large nostrils. It taught them about the things that cause the nose to smell flowers by breathing in or sneezing out when something like pepper is smelled. 2. Your Outsides, identifies different body parts, teaches what they do and explore the way we can use them. "Your Wonderful Hands" is an exhibit that features puzzles, sign language games, shadow puppets. "Your Legs and Feet" is an interactive exhibit to show what happens to our legs when it is put in motion. "Your Amazing Body" is an interactive video game where children choose the correct body part based on clues from Ernie and Bert. 3. Staying Healthy shows children how they can stay clean, eat healthy food, get plenty of physical activity and sleep to keep the body healthy. The "Rub-A-Dub Tub" shows children about staying clean. "Mr. Hooper's Store" is a place where children will enjoy scanning groceries, and learning specific messages about healthy food. "Baby Bear's Mini Mart" is a toddler sized activity area where children can play with a variety of colourful, healthy food. "Rosita's Locomotion" allow children to learn how the heart and different muscles work such as when we row or run. The components of the Sesame Street Presents: The Body is geared toward children's natural excitement about learning and gives children the opportunity to observe, investigate, experiment and talk about their learning with their parents or caregivers. 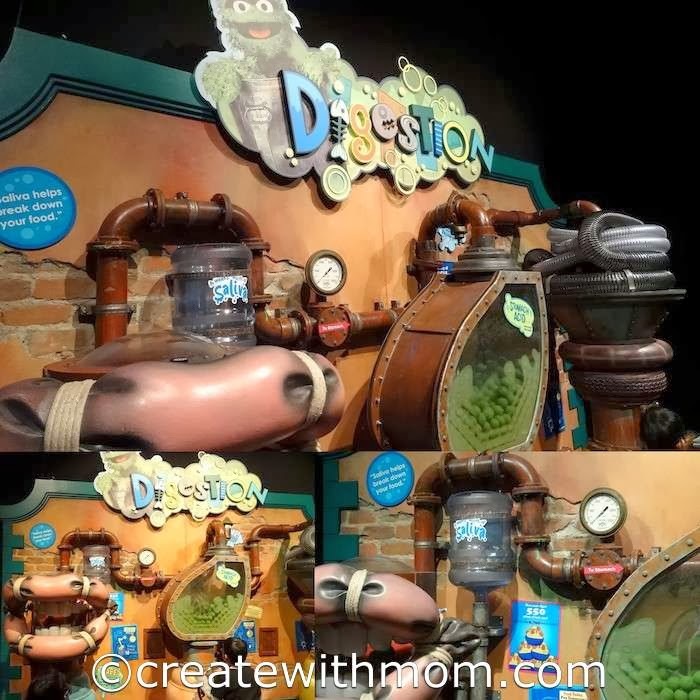 While at the exhibition, before and after visiting we can help further our children's curiosity and learning by asking questions and using the downloadable educational material available at www.sesamestreetpresents.org. That looks like a pretty good exhibit. I can't wait to take my son to the Ontario Science Centre once he is a little older. Kids or no kids I would love to check this out! What an amazing experience. We are heading there over the March Break!